· From the Year of Assessment 2020: Your company is required to pay the tax at 4.25% on the Net Profit for the first SGD100,000/-, whereas at 8.5% and 17% for the next SGD100,000/- and beyond first SGD200,000/- respectively effective from the Year of Assessment 2020. · Singapore companies do not have to pay taxes on capital gains or dividends. 3 Limited Partnership (LP) · Tax benefits: As with a general partnership, the profits and losses in a limited partnership flow through the business to the partners, all of whom are taxed on their personal income tax returns. The difference is that the limited partners in the relationship get to share in the profits and losses, but they do not have to participate in the business itself. · Liability limits: A limited partner’s liability for the partnership’s debt is limited to the amount of money or property that individual partner contributed to the partnership. This is not true of the general partnership, where any money or property contributed becomes an asset of all the partners. · The general partners take charge: In a limited partnership, the general partners deal with the daily operations and responsibilities and don’t need to consult the limited partners for most business decisions. · No turnover issues: Limited partners can be replaced or leave without dissolving the limited partnership. · Less paperwork: Creating a limited partnership, like a general partnership, requires less paperwork than forming a corporation. However, it’s important to create and file a partnership agreement in the county where your company does business. · Investment opportunities: A limited partnership is a great way to offer investors the opportunity to benefit from the profits and losses of your business without getting them actually involved in the business. · Risks to the general partners: In a limited partnership, the general partners must carry the burden of all the business’s debts and obligations. If the company is sued or enters into bankruptcy, all debts and liabilities are the responsibility of the general partners. · Also, each general partner has the ability to make decisions on behalf of the company, and those decisions become the responsibility of all the general partners. · Compliance challenges: A general partnership does require less paperwork than a corporation, but because in essence you have investors (the limited partners), you must still hold annual meetings and create a detailed partnership agreement. 4 Partnership (General) · Partnerships face fewer statutory controls than companies. · There is no requirement to audit or publish accounts or to register the Partnership Agreement. No returns are required to be made by partnerships, except for income tax. · The internal structure of partnerships is very flexible. Most of the rules for the structure of partnerships can be overridden if the partners agree otherwise. · Partnerships can be simple and cheap to set up. There is no requirement to have any written documentation, although a Partnership Agreement is advisable (see above). · Partners owe a duty of good faith to each other. Partners must also account to the partnership for any secret profits that they make from the partnership without the consent of the other partners, including any profits gained from any competing business. · Partners face unlimited liability for all the debts of the partnership. This means that the personal assets of each partner are at risk. · Partners are jointly liable for partnership debts. This means that if one partner fails to pay his share of the partnership debt, the other partners must make up the shortfall. · Any individual partner can be sued for all the debts of the partnership. · The partnership does not have its own separate legal identity from the partners. Therefore, unless otherwise agreed, the partnership will come to an end each time a partner leaves. · The avenues available for access to further capital for expansion are restricted by the amount of security that can be given personally by the individual partners. 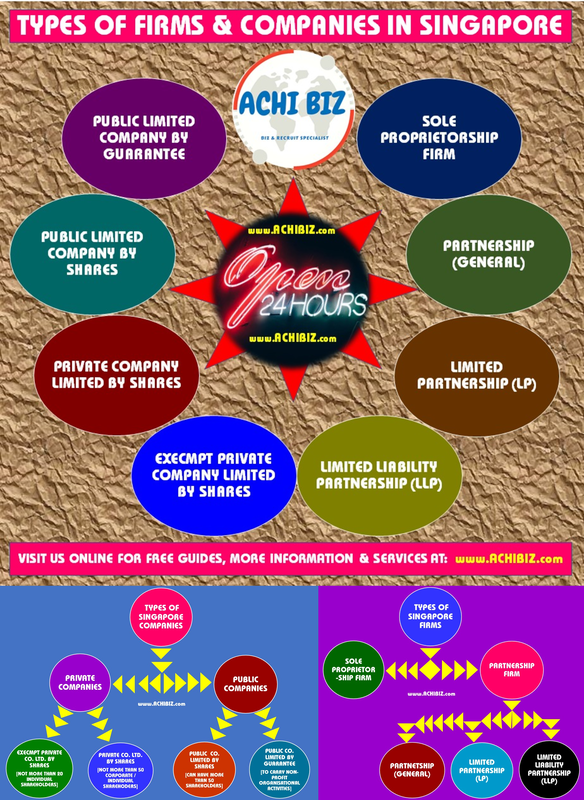 5 Sole Proprietorship · It is an easy procedure to register a sole-proprietorship. · It is easy and quick to start trading as a sole trader as there are no formalities to comply with other than notifying the Tax Authorities. · The business itself is flexible. Any decisions and changes can be made easily as there is only one person to make the relevant choices. · All the profits generated by the business will belong to the sole-trader. 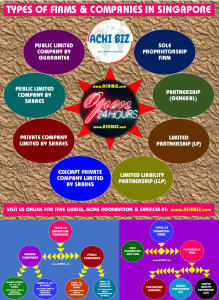 · Sole-traders own their business and so are able to sell or transfer the business assets & liabilities as they wish. · One of the advantages of this form of business is that there are fewer formalities in terms of its formation and registration. · Pay income tax for your trade income at individual income tax rate. · CPF contribution is not mandatory. · Due to flexible structure it’s easy to convert into Partnership just by adding another person as a Partner. · A sole-trader has unlimited liability. This means that if the business should collapse, the sole-trader could loose not only the cash and other assets invested in the business but all his/her personal assets as well excluding HDB flat, to meet the debts of the business. · As there is only one person with overall responsibility for the success of the business this may increase the pressure on that individual. · A sole-proprietorship is a business firm owned by one person or one locally incorporated company. There are no partners. The sole-proprietor has absolute say in the running of the business firm. Management rests on that one person and his liability is unlimited. · There is no requirement for a sole-trader to maintain accounts for auditing purposes however the records shall be kept for five years. For tax purposes, a balance sheet or statement of affairs as at the end of the year and a detailed profit and loss account must be submitted to the tax authorities. · If such a business fails or is declared bankrupt, the creditors can sue the proprietor for all debts incurred. A legal claim can be made against the personal assets of the proprietor. · Sole Proprietor could not transfer the ownership of Firm however the assets & liabilities of the Firm could be easily transferred to another person. Please refer to GUIDES for Type of Firms & Entities for more details, information or CONTACT us if you wish to know about these or many other services.